Empty corners can be found in every house out there. Filling them up can become a challenging task for many people as they want to maintain a balanced look. 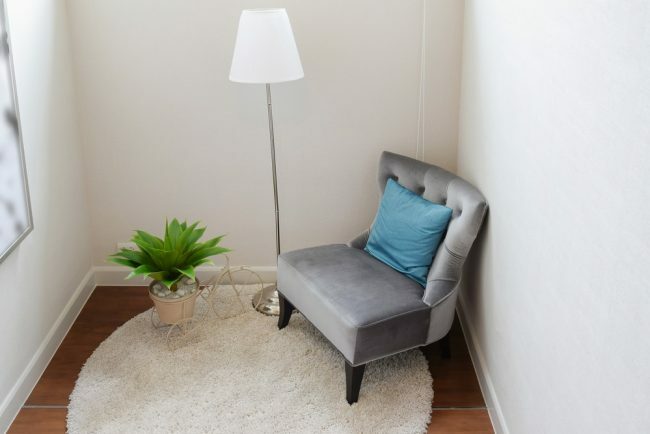 While some empty corners can look good just as they are, not everyone may prefer a minimalist approach when it comes to decorating their home. That emptiness can feel strange visually and affect the entire atmosphere of the room. If you wish to avoid wasting good space in the room, check out these ideas for decorating the empty corners. It’s time to convert neglected nooks in points of interest that smartly contribute to a harmonious look of the entire room. 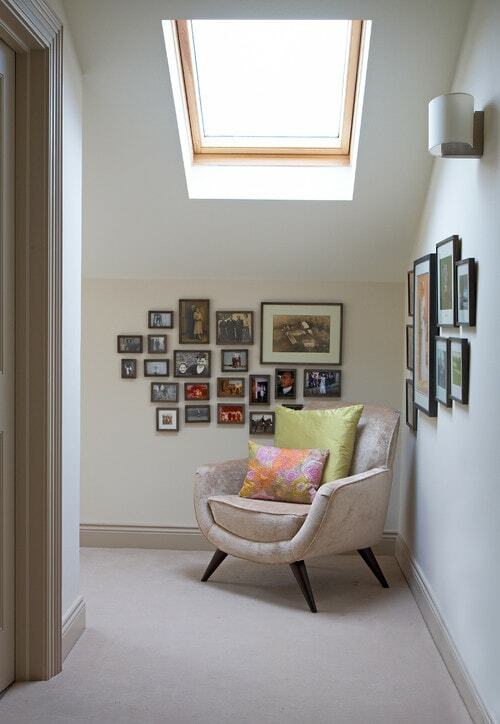 A spare corner offers a great opportunity to show off more of your artwork pieces. You could try cutting the corner using a painting if you want to draw some extra attention, but there are also other solutions. 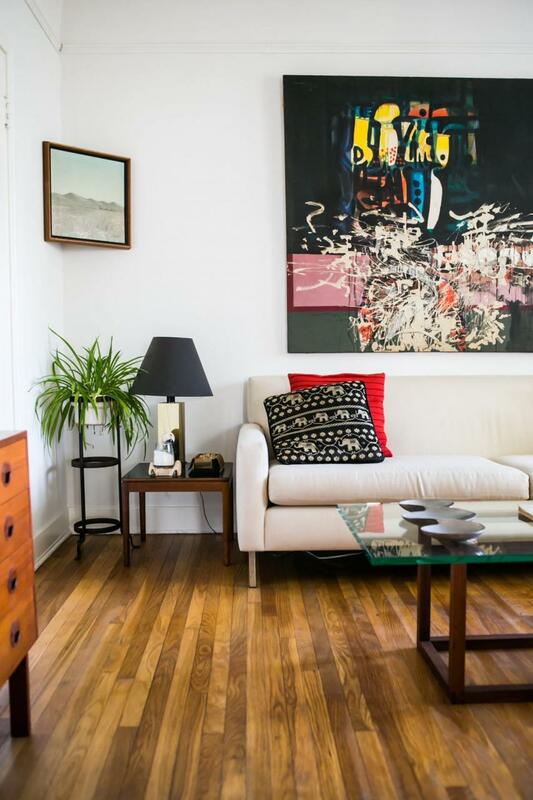 Both framed prints or large-scale oil artworks can cover that neglected space. Try to combine this area with the neighboring walls when displaying your favorite art pieces. Filling up empty corners is easy when you consider the lighting options in the room. Maybe you’ll realize there’s a lack of ambient light in the area. That unused corner could come in handy as you can place a large lamp there. Whether you need some corner lighting near the sofa or simply wish to enhance the look of a random corner, consider adding a lamp. 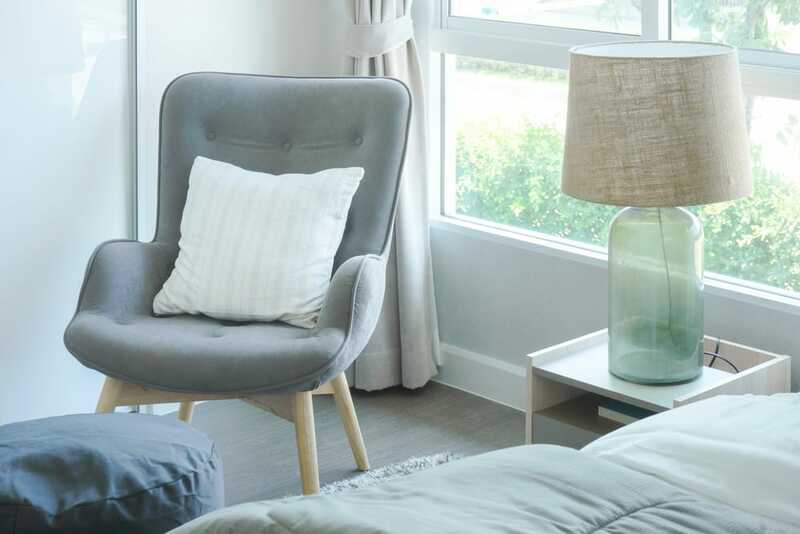 There’s a wide range of fixtures to try, but we recommend a tall floor lamp that doesn’t take too much space. Here’s a great example from Amazon. 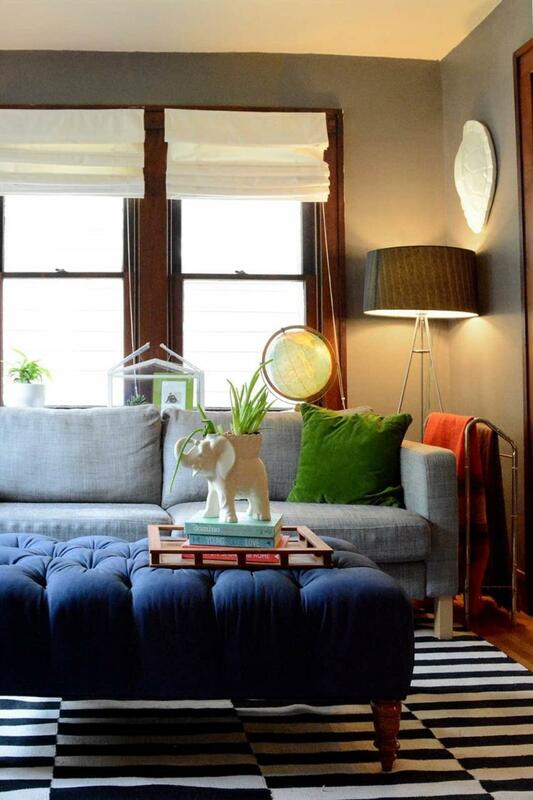 Small empty corners of the living room may not offer much in terms of square footage to store various items. It’s all about figuring out how to use it more ingeniously to give that empty corner a functional purpose. We like the idea of shelving which could be a decent storage solution, even more so if you have less of a corner and more of a nook. Depending on the layout of the room, shelves in the corners won’t be just practical for storage, they can also add an extra display area for decorations. Corners can be decorated with plants to enhance the atmosphere in the room with some natural touches. One of the main strengths of this idea is that it’s a versatile solution. You can work with any corner size and available space. Place a large floor plant if the corner allows it or stick to smaller potted greenery if we’re talking about a tiny corner. The sitting room can make use of some flowers that add a vibrant spark to the area. 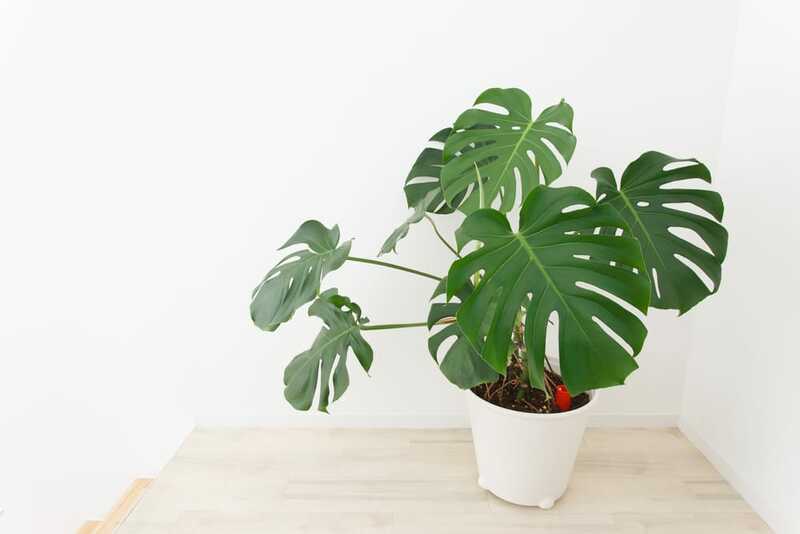 Large leafy plants can definitely fit an unused corner if you wish to make a bolder statement. A space-saving solution is to hang a terrarium from the ceiling to decorate that small empty corner. Plants should work particularly well if your corner is near a window where the area feels too awkward to fit a piece of furniture. 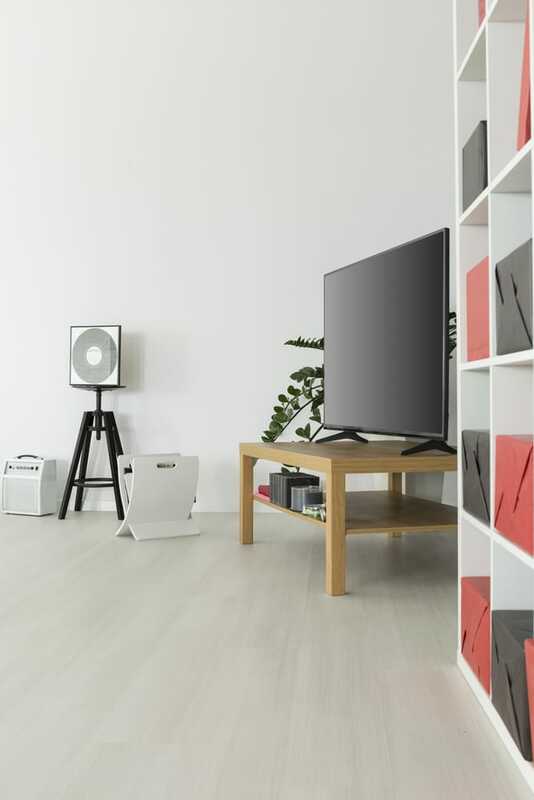 The addition of a TV in an empty corner might feel strange for some, but this is a creative idea that can inspire you to change the arrangement of the items in a room for a fresh look. A corner can easily accommodate a stand for your television to sit. It’s much nicer to look at the TV from a corner as you add an extra viewing angle. To get the best view possible, it’s recommended to opt for a corner television stand. There are different options when it comes to this furniture piece. You can either choose to get a more expansive entertainment center or an open-style unit for less of a cluttered look. This corner TV stand from Amazon is recommended as it strikes a nice balance between saving space and offering generous storage possibilities. Whether for holding your lamp or flower vase, small tables can work great when it comes to filling an empty corner in the house. Go for models that find a good balance between a compact design and a stylish look. 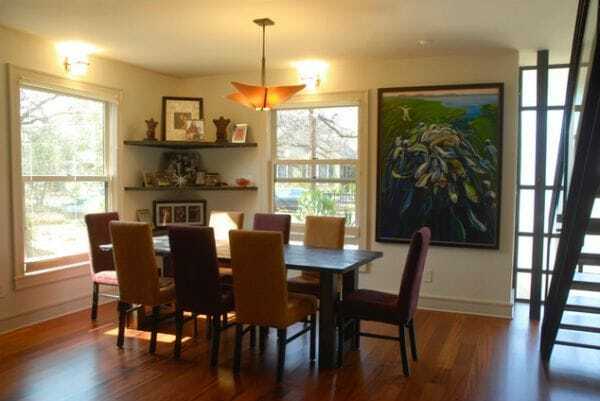 If more corner space is available, you should consider investing in a triangular table that makes it easier to take advantage of the existing square footage. An empty corner provides the perfect opportunity to expand your seating options. 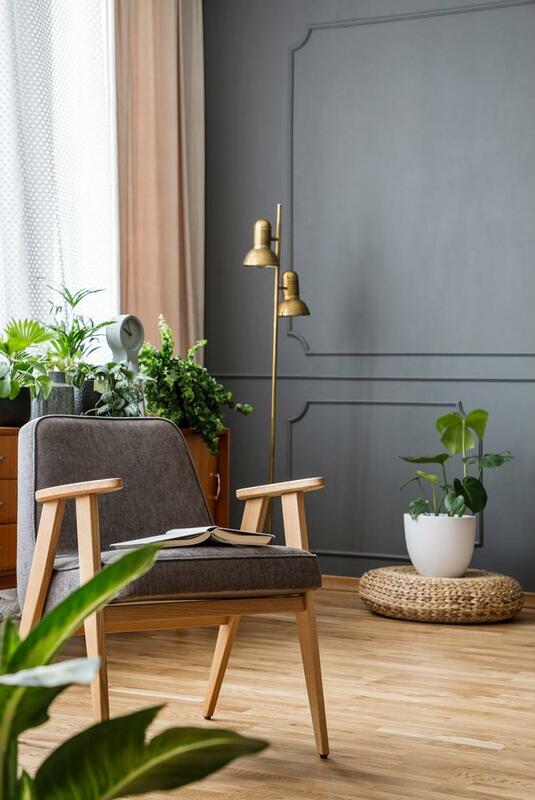 Whether to create a meditation area or a reading nook, don’t miss out on the great potential for creating a new personal space. There’s no need to make some huge investments as all that’s needed is adequate lighting and a comfy bean bag. Here’s a soft model from Amazon that’s built with comfortable memory foam. Another option is to simply use this space for storing the extra chairs needed by guests. If you’re lucky enough to have a large corner that’s left unused, perhaps adding a desk would be the perfect solution to complete the look of the room. With the help of some smartly-designed shelving, you can use the corner space to its full potential. Add a cushioned chair to sit more comfortably and the result could be considered a small home office. A clever way to use an empty corner is to turn it into a coffee station. This is a nice solution if the space in the kitchen is kind of lacking. With the help of a small shelf, you can add a coffee maker and all the necessary accessories to start brewing your favorite coffee beverages. Check out this stylish coffee brewer from Bunn found on Amazon. Here’s a more unique idea that you can try for adding some style to an empty corner. 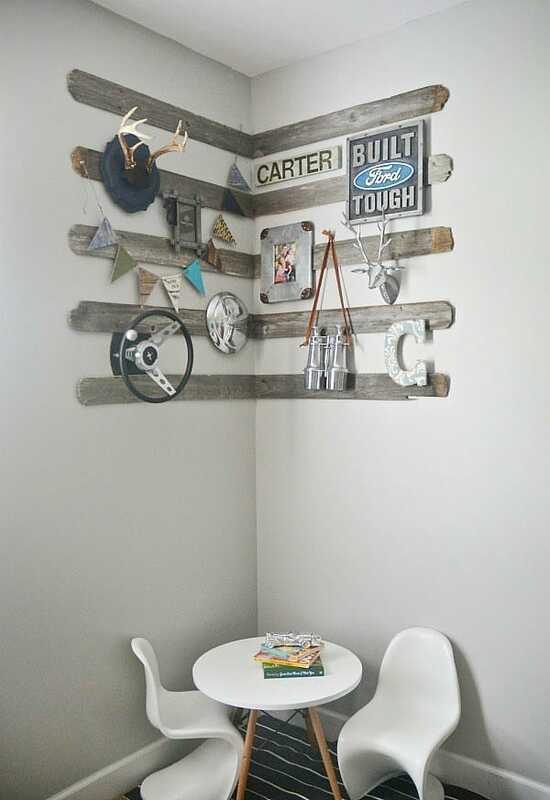 If you’re into DIY crafting, you’ll probably love this project as it involves making a gallery wall where you can display some treasured items and collectibles. The use of barn wood boards provides a superb rustic effect to the whole room. If you’re out of ideas for decorating that glaringly empty corner, this gallery wall can be just the right option to make it more personal. That awkward corner between the rooms can be better put to use if you integrate an organizational center. 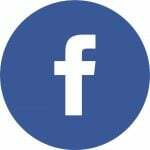 This could be a useful place for everyone in the family. Small things like various accessories can be stored in wicker baskets while the bulletin board can provide some important information that you need to remember. 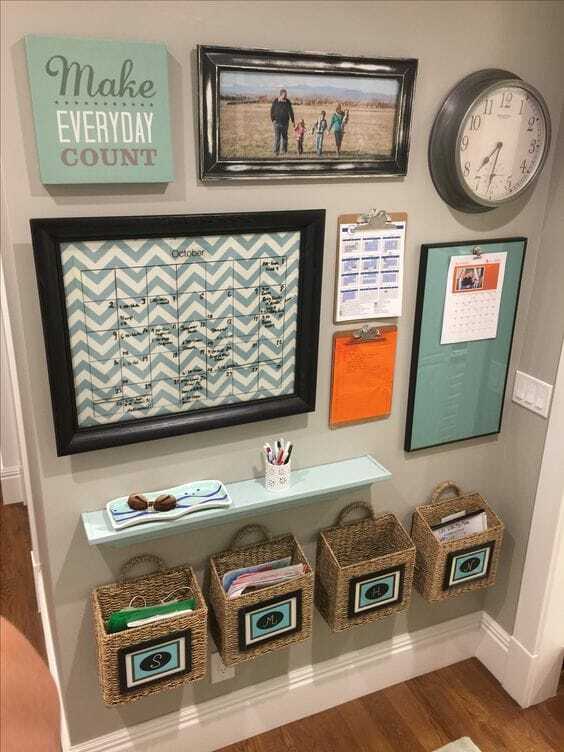 Other great items to include in this organizational corner are a calendar and wall clock. For some extra customization, consider adding some family photos and inspirational messages that speak to you. Having a small organizational center represents a powerful solution for decluttering the home and giving a functional purpose to that empty spot in the room. Having a full-sized bar in your home can be challenging for those with limited space. A simple solution to this problem is to create a makeshift bar into a corner. 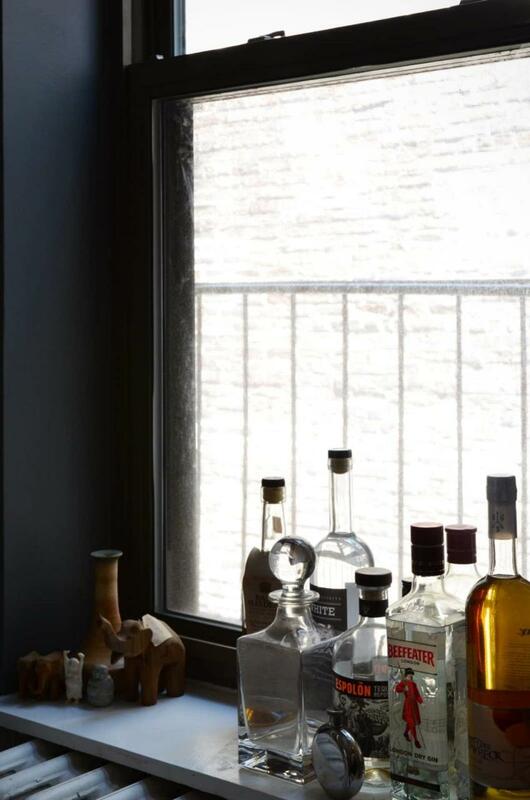 Just add a shelf on the radiator near a window and then it’s simply a matter of finding the right drinks. If you want to take it a step further, we recommend going for a bar cart that can fit well in the corner space. Repurposed ladders have great potential to decorate your home. They can be used to add some extra storage in an empty corner. 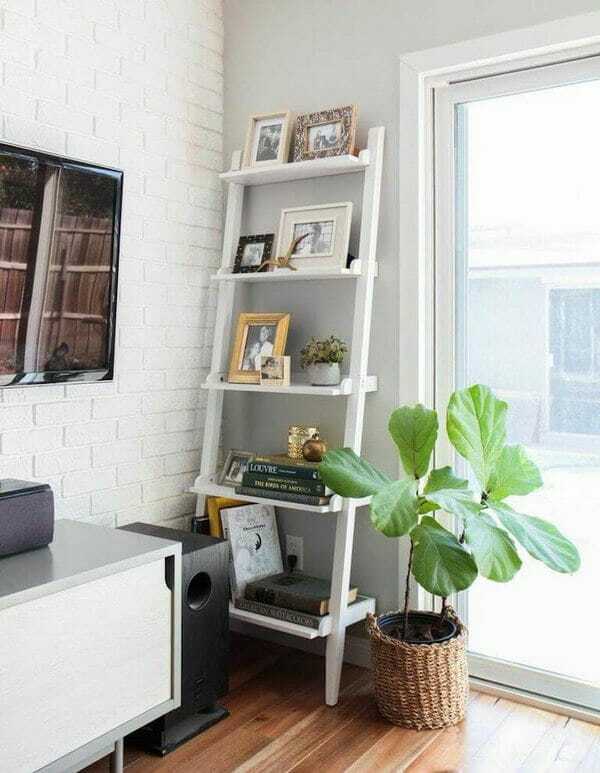 While you can use a basic shelving unit for that, repurposing a ladder has a more rustic feel and many would argue that it looks more stylish. We like the idea of a stepladder that seems to be integrated into the wall. You can fill the shelf space with all kinds of decorations and items such as books and potted plants. Many people enjoy using soft blankets in the living room. To stay a bit more organized, you could add a dedicated rack for all your blankets. The compact size enables it to sit in an empty corner without problems. Now you can have all your cozy blankets close at hand. They are especially reliable to keep warm during the winter season. The market offers plenty of options for blanket racks, but we like this graceful model from Amazon as it has an elegant look with its black finish and traditional iron scroll work. Children will appreciate it if you take that empty corner in the house and make a little sanctuary for them. Perhaps you could add a fun tent where they can sit and read their favorite books or play games. 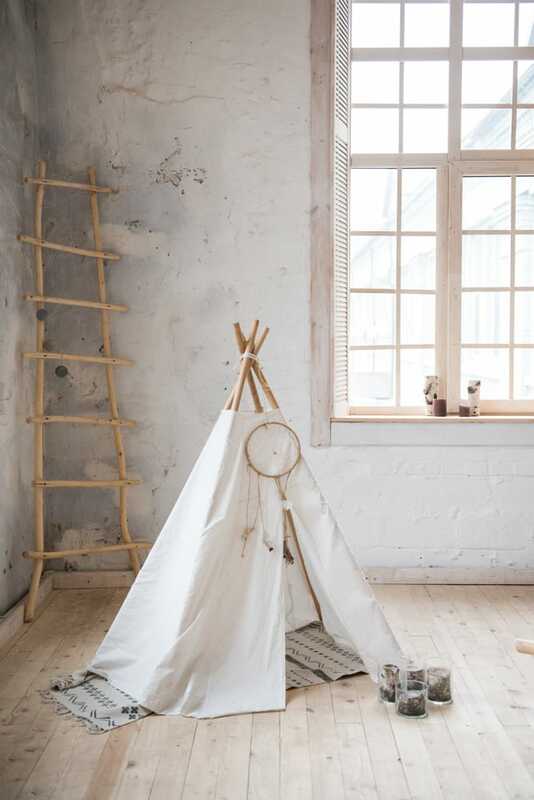 Another example is to transform it into a stage for children with the help of some curtains. It’s a nice way to let them play in a more creative manner. 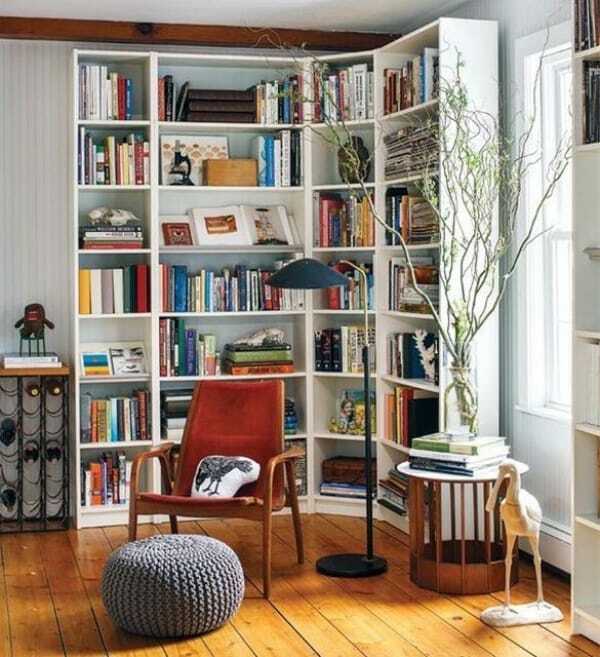 That unused square footage in the corner seems like an ideal spot to extend your home library. 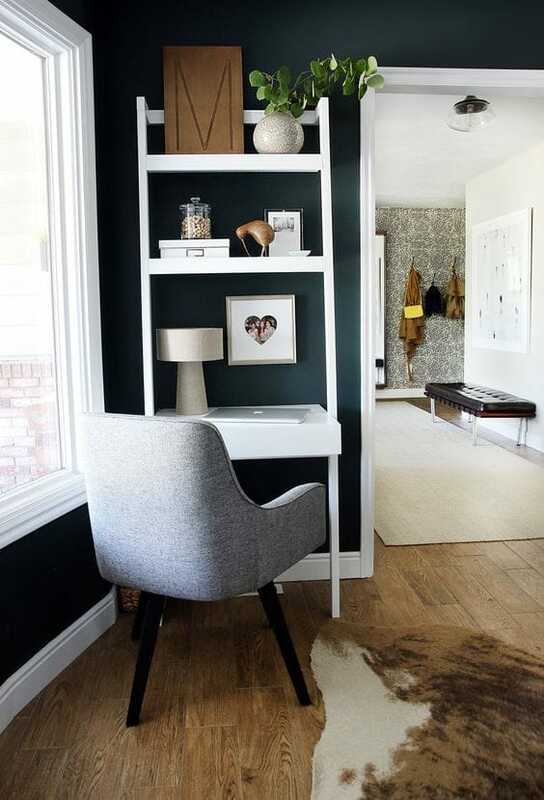 Bookcases can be placed along the walls while integrating the corner in a practical manner. 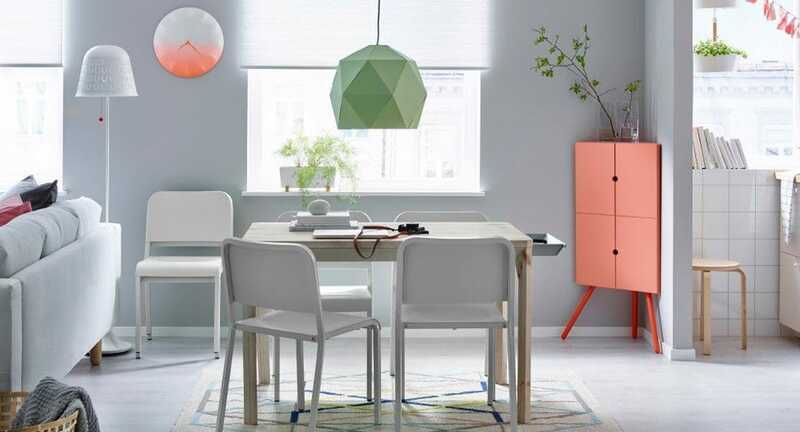 You could try using a versatile bookcase such as the Billy Series from IKEA which comes with corner options. It enables you to keep your book collection growing while removing the feeling of emptiness from a naked corner. Not many cabinets can fit in a limited space like the one from a small empty corner. Even so, certain cabinets are specifically designed to tackle the challenge of filling corner space. IKEA is known for incorporating smart storage solutions and this stylish cabinet seems like an ideal match for any naked corner. The pinkish-orange tone of the cabinet strikes an excellent contrast with the dominant white from the rest of the room’s elements. Empty corners represent convenient spots for placing mirrors. A tall mirror can be easily propped in a corner and will instantly refresh the look of the room. 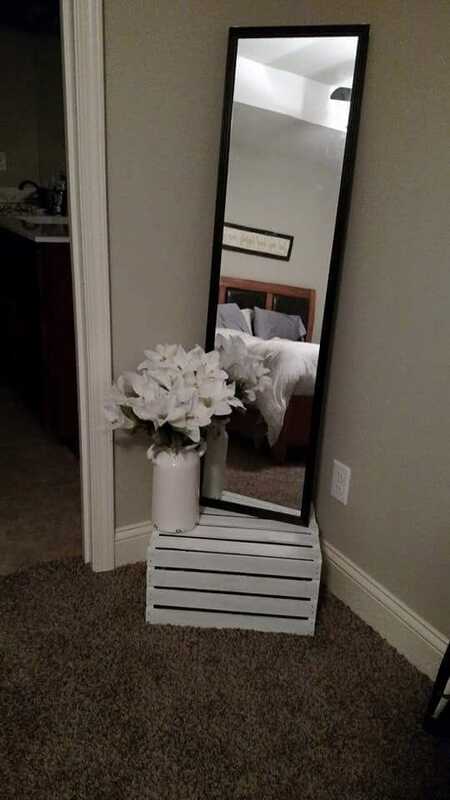 While this could be a solid decorative solution, the mirror can’t be used that comfortably given the awkward angle. 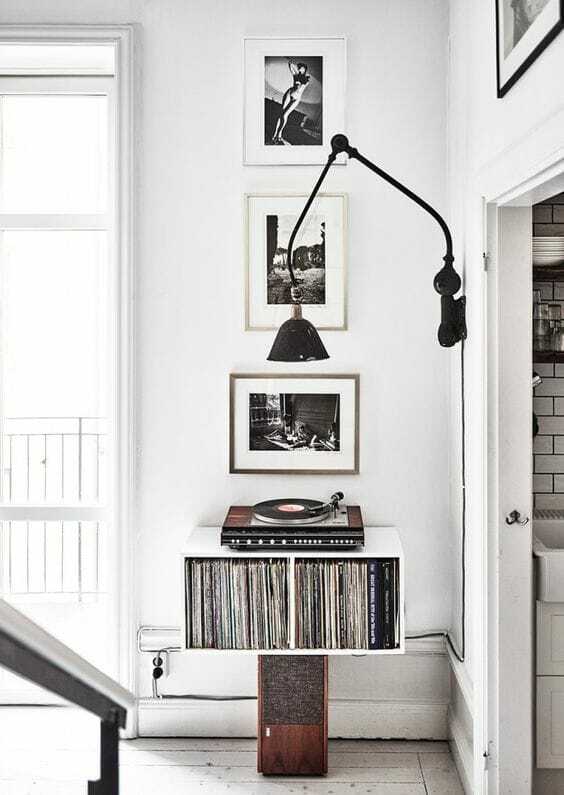 Your vintage music collection can easily fit into an empty corner together with the record player. This spot could be an ideal spot for creating a dedicated music nook. The only thing that’s missing is a lamp to shine over the turntable. The walls could also use some decorations like framed posters with some beautiful vintage photographs. Anyone who’s into listening to music the old-school way can appreciate this type of aesthetic for an empty corner. An interesting element that you can use to fill an empty corner is a fireplace. 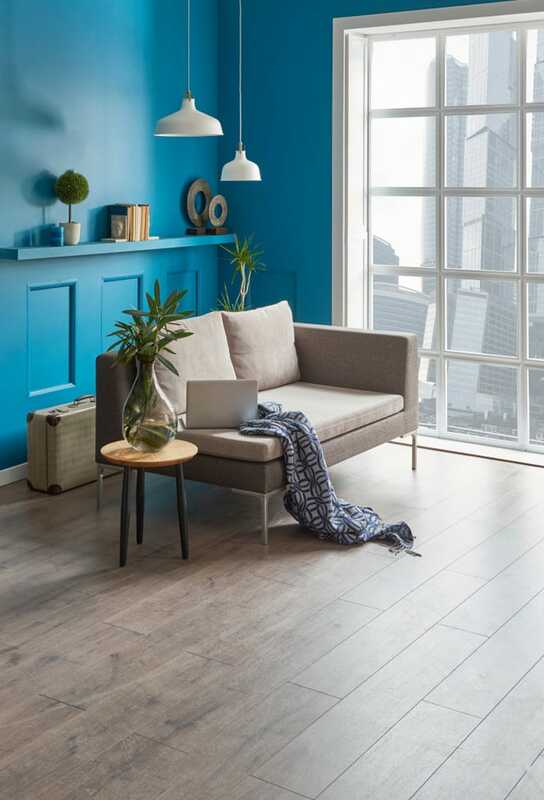 It shouldn’t occupy too much space in most cases, and it can be a huge hit for colder climates as it brings some much-needed warmth to the room. Fireplaces tend to make the atmosphere cozier wherever they’re placed. 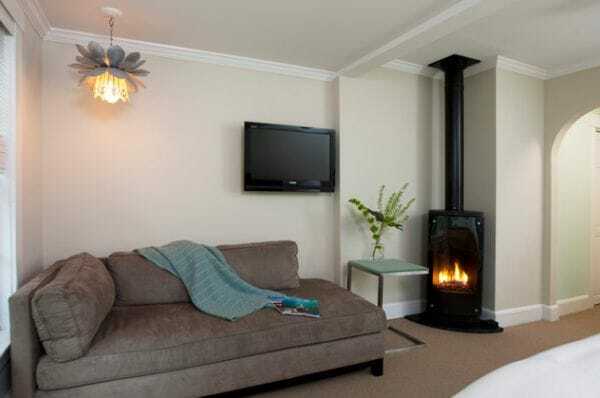 If you wish to pull off this look, you should invest in a freestanding fireplace that’s usually more easy to install. 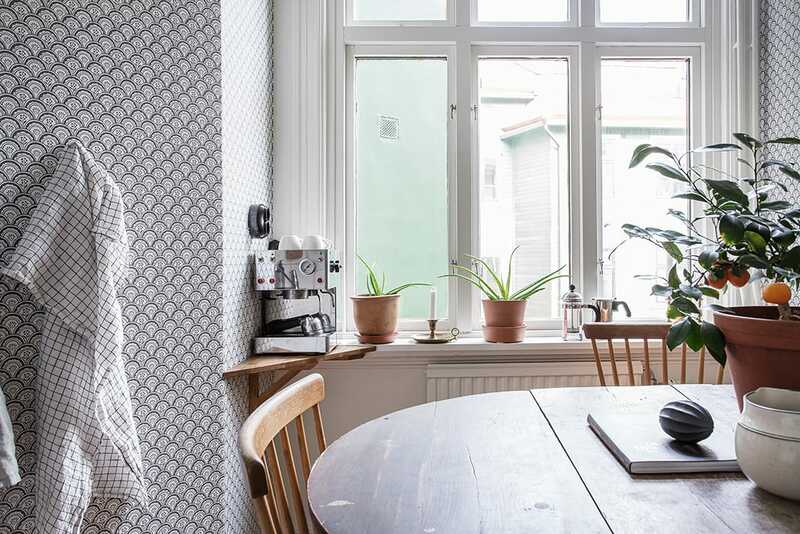 Turn that empty corner in the kitchen in a relaxing place to have breakfast with the help of this DIY project. It makes use of some stylish benches from IKEA though you can also use other models. 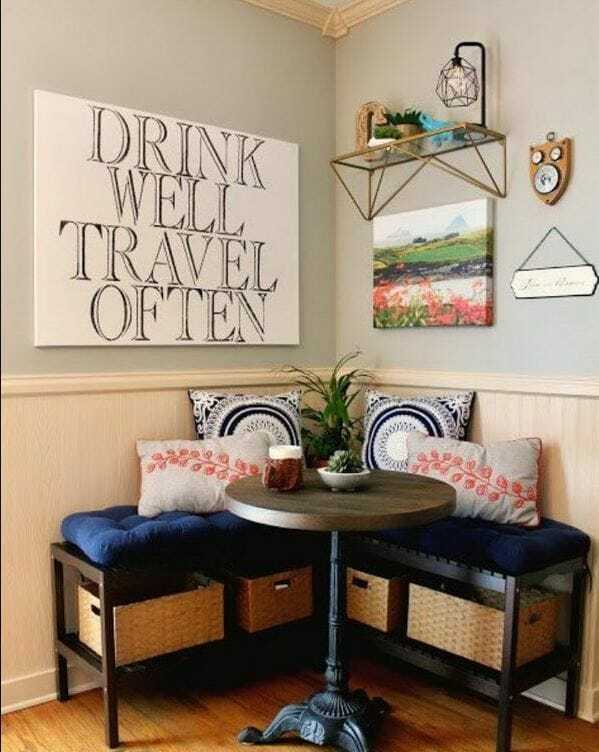 The awkward space in the corner is revitalized in a smart way by including storage baskets underneath the benches and plenty of texture coming from the cushioning and pillows. 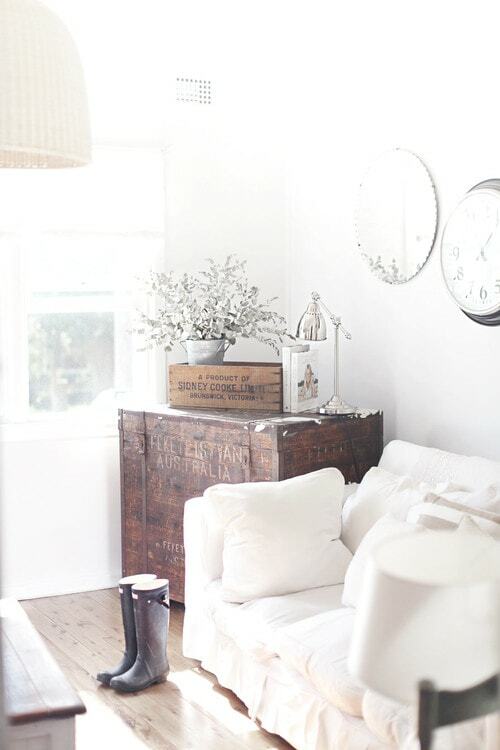 A round coffee table and some decorations on a floating shelf finish off this cozy look. 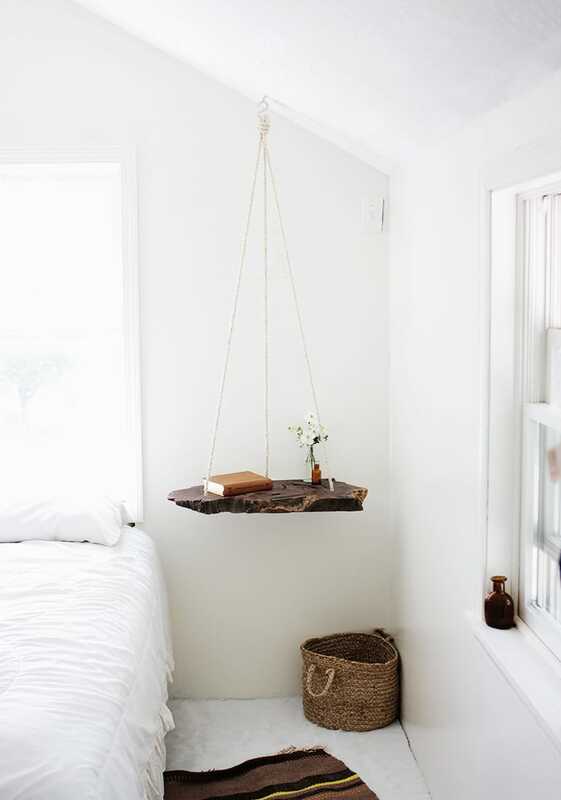 With the help of a hanging table, you can obtain a unique way to store and display small items in an empty corner of your bedroom. Check out this DIY project where you can learn all the details to create this stunning table built using a dark wood section that gives off a rustic vibe. It’s definitely a more unusual way to occupy some empty corner space. The table is most likely too unstable to serve a functional purpose beyond holding a few small objects, but it’s worth a shot if you like the aesthetic effect. 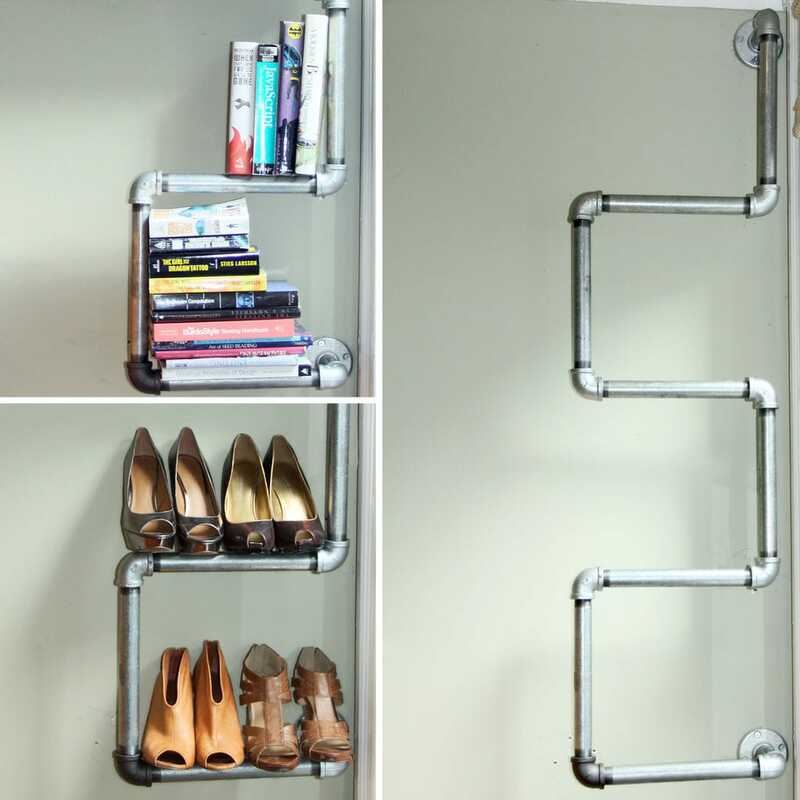 Fans of industrial design style should check out this DIY project that involves installing some pipes in the corner and using them to store books or shoes. This is a relatively easy project to try and it offers a chic look that can match well the rest of the industrial look in your room. While you may find this kind of pipe shelf available for purchase in certain places, making it yourself can reduce the cost by at least a half. Thanks to the threaded ends of the pipes, you will be able to change the shape of the shelf if you wish to refresh the look. The only disadvantage of this industrial shelf is the weak hold which may be tricky for some bulky objects. Shoes seem to be the right size to be easily displayed on this shelf. Books will also fit comfortably. One idea that’s a bit difficult to pull off is the corner window. 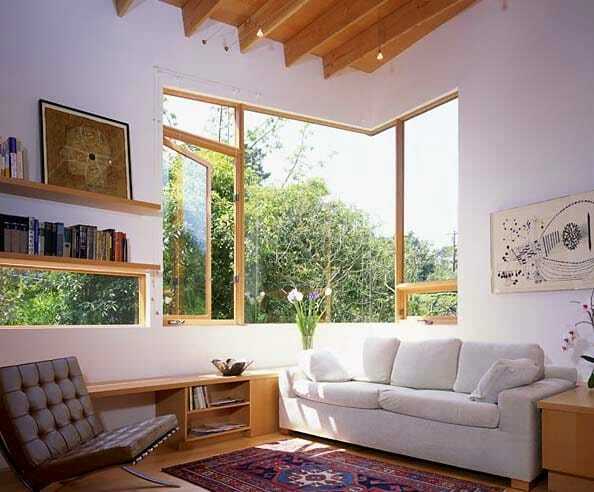 You will most likely need the services of a contractor to help you plan for creating a corner window. If all goes well, this could be a very rewarding choice enabling for more sunlight to reach your home and to provide a unique design to the living room. Vintage suitcases work great to decorate an empty corner. They will fit without too many hassles due to their square or rectangular shapes. By stacking suitcases you can obtain a more interesting visual effect and can fill that empty corner once and for all. There’s also the added advantage of gaining some storage space, but you can leave the suitcases empty if you only wish to use them with a decorative purpose. 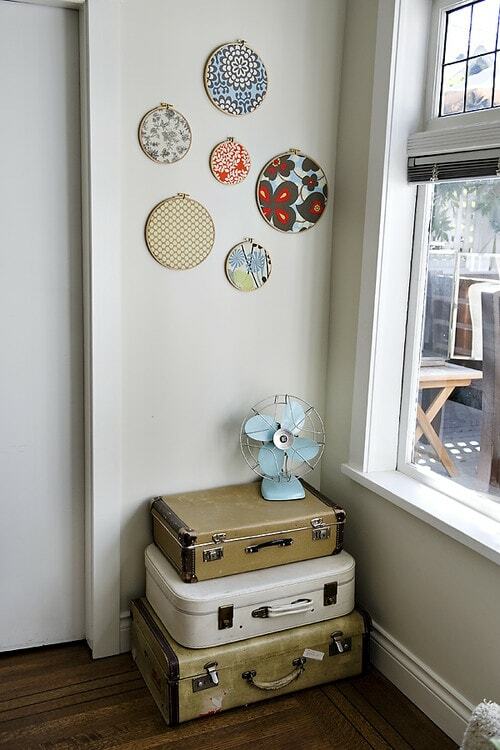 For a bit of extra retro effect, try adding another element on the stack of suitcases like a small fan. Don’t forget about embellishing the wall with some beautiful art. Fans of vintage design will probably appreciate this idea of adding an antique clock to make that naked corner livelier. An awkward spot in the room seems like the ideal place to showcase an antique object. Complete the look with a stylish table that follows the same design theme. You may even add an old typewriter to make a dominant vintage vibe in the corner. Unique ideas can transform any empty corner in the room into a focal point. One excellent example is the addition of an aged packing crate. It brings a fresh rustic vibe into a neutral-colored room making the corner stand out thanks to the rich brown tone of the wood. For a mix of vintage with industrial design, consider integrating a lamp and a smaller crate. To keep things balanced add a casual effect through the pot of flowers which seem to offset the rugged look of the crates. Family photos contain treasured memories that should be freely displayed in your home instead of laying around in an album somewhere. An empty corner that people frequently pass by represents an excellent opportunity to feature your favorite photographs. The walls on this corner are decorated with photos from different generations creating a nostalgic effect accentuated by the placement of a retro chair.